With South Africa’s zipline tourism, you can. 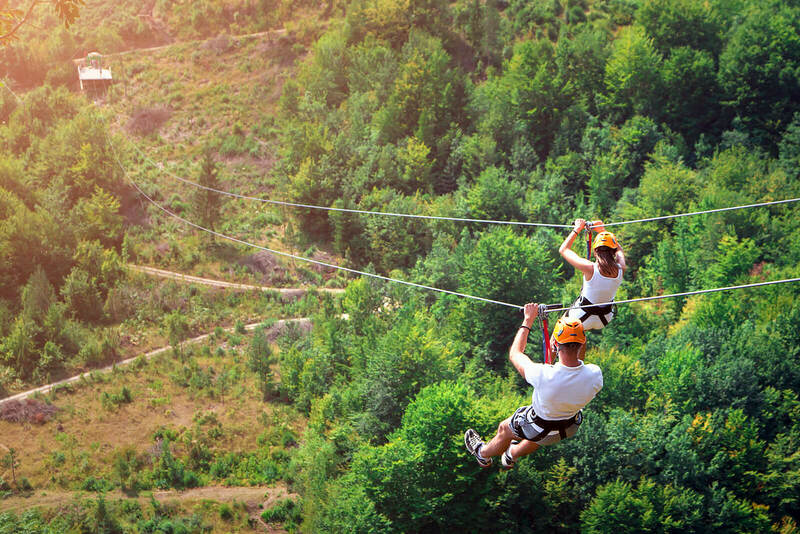 Ziplining over the canopy is a great way to see the landscape. It’s awesome for individuals or families, and you’re guaranteed to have some very unique memories of your African vacation. A lot of people look at an activity like ziplining and think it looks dangerous. It’s actually incredibly safe and the chances of an accident are vanishingly small. At every step of the way you’ll be securely fastened to your zipline, and you’ll see young kids zipping around with no problems. Of all the more adventurous things you could do on a vacation (which we also recommend), this is the safest. Don’t let fear stop you from doing this one. It’s totally worth it, and you won’t regret it. Seriously, we can’t overstate this. There’s something viscerally appealing about defying gravity, and experiencing the world in a way humans don’t usually get to. Although it takes a few minutes to get used to, it’s actually a very quick adaptation and you’ll be zipping around with the best of them very quickly. Once you get started, you’ll be amazed at how much you’re able to see, and what your new perspective of the world shows you. Most people don’t want it to end. It really is a thrilling experience. Zipline tours are very popular in South Africa, and for good reason. The unique landscape lends itself to canopy tours. If you want to see several locations then doing a handful of zipline tours is a great way to get a feel for the country. You’ll be able to see some of the area’s canyons and rocky regions, and also check out the wooded areas. Nature lovers and outdoors enthusiasts are stoked when they see the incredible variety of landscapes, and it helps get out of the flat land safari tourist areas that you might see more of typically. Really, we can’t recommend ziplines enough. It’s such an innovative way to explore the environment, and it’s an activity that the whole family can usually enjoy. Do yourself a favor, and check these tours out if you have time during your South African vacation. You’ll enjoy it, have an experience that not many people do, and leave with a greater appreciation for the country’s scenic beauty. Try fitting one into your vacation, and of course, as always, enjoy your stay in Africa. It’s an amazing place, with amazing beauty, and we know you’ll love your visit no matter what.